Actor Chuck Norris arrives at Lionsgate Films' "The Expendables 2" premiere on Aug. 15, 2012, in Hollywood, California. 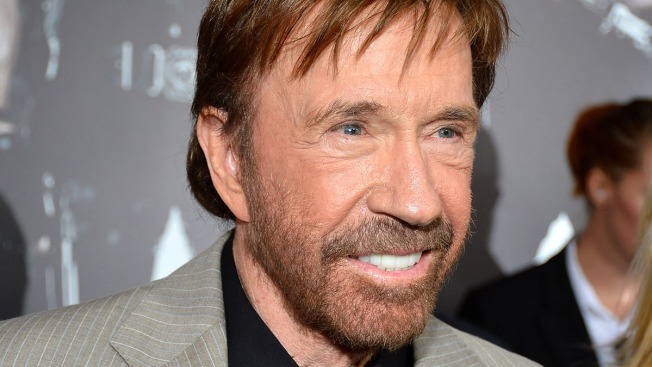 Action star Chuck Norris took on medical device manufacturers in a lawsuit filed in California on Wednesday alleging a chemical used in MRI imaging scans poisoned his wife. Gadolinium that doctors injected into Gena Norris to improve the clarity of her MRIs have left her weak and tired and with debilitating bouts of pain and a burning sensation, the suit filed in San Francisco Superior Court says. Gadolinium is a metal found in so-called contrast agents used in many MRIs. Studies have shown it is retained by organs such as the brain, bones and skin. The American College of Radiology said in a statement last year that gadolinium-based contrast agents have been used for diagnosis and treatment guidance in more than 300 million patients worldwide since the late 1980s and provide "crucial, life-saving medical information." The U.S. Food and Drug Administration said in May it found no evidence that retained gadolinium was harmful. A European Union agency reached the same conclusion in July but still recommended suspending some gadolinium contrast agents as a precaution. The law firm representing the Norris', Cutter Law, has filed numerous lawsuits in recent weeks on behalf of people who it also says are suffering from gadolinium poisoning. The Norris' lawsuit acknowledges no official, publicly stated link between gadolinium and symptoms reported by people who believe the metal has affected their health. But that's in part because blood and urine testing for gadolinium only became available recently and most doctors were not aware of any disease that was associated with gadolinium other than one that affects people with kidney problems, the lawsuit said. "One of the problems is this is a very misdiagnosed and underdiagnosed condition," said Todd Walburg, an attorney for the Norris'. The lawsuit accuses several manufacturers of gadolinium contrast agents of knowing about their risks, but failing to warn consumers. It seeks more than $10 million in damages, saying the Norris' have had to spend millions of dollars on treatment for Gena Norris. Chuck Norris starred in the TV series, "Walker, Texas Ranger."